The Missouri Department of Natural Resources (MDNR) is hosting a meeting on Tuesday to get public input on Ameren's plans to build a coal ash landfill next to its power plant in Franklin County. The approximate locations of drinking water wells in Franklin County (shown in red). This map was created for the Labadie Environmental Organization based on Missouri Department of Natural Resources well location data. The meeting will focus on whether the agency should grant Ameren a landfill construction permit. Ameren Missouri's Vice President of External Affairs and Communications, Warren Wood, said the new coal ash landfill will be state-of-the-art. "It will store this material in a dry, concrete-like state," Wood said. "It's the right thing to do for the people we serve, and it's a responsible solution to protect the environment." Area residents and environmental groups have said that existing coal ash ponds at the power plant have already contaminated groundwater. The president of the Labadie Environmental Organization, Patricia Schuba, has lived near Ameren's Labadie power plant for most of her life. She said Ameren's own groundwater tests have found unsafe levels of coal ash contaminants in some sampling wells. "Arsenic is at six times the drinking water standard," Schuba said. "That's the legal standard for what should be in the water that you consume out of the tap in your home." Schuba said most residents in and around Labadie get their drinking water from groundwater wells, and that the state needs to do its own testing to find out whether the water is safe. The MDNR declined to comment for this story. According to the U.S. Environmental Protection Agency, coal ash contains toxic contaminants including arsenic, mercury and cadmium, substances "associated with cancer and various other serious health effects." 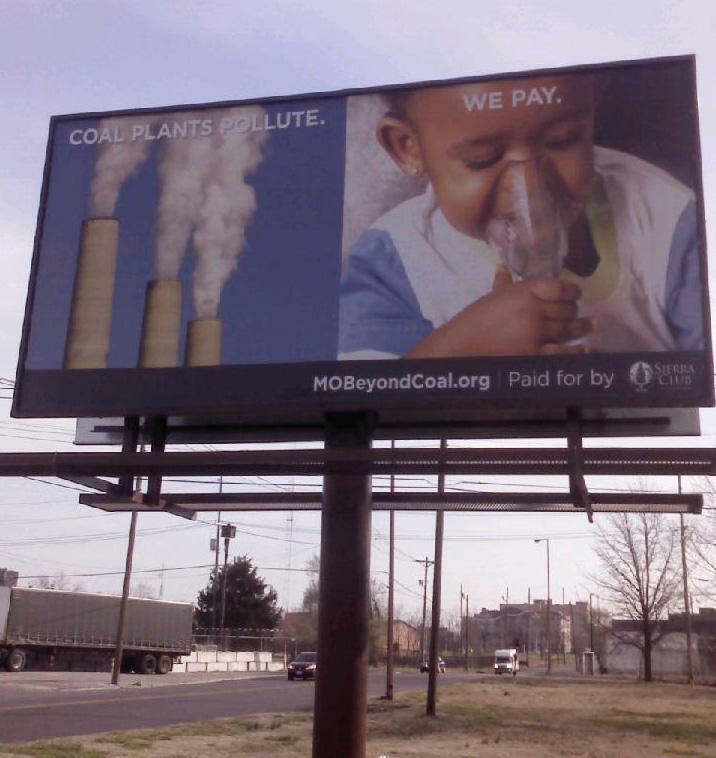 Also on Tuesday, the Sierra Club launched a month-long advertising campaign in the St. Louis metro area, in its words, "about the dangers and costs associated with Ameren's dependence on coal-fired power plants." Schuba, the Sierra Club, and other opponents of the landfill have said building it in the floodplain of the Missouri River would pose a risk to drinking water supplies not just in the communities near the Labadie power plant, but also downstream in St. Louis. Ameren's Wood called allegations of existing groundwater contamination "unfounded." He said the new landfill will be designed to protect groundwater, and that as the landfill is constructed, Ameren will monitor groundwater around the site for pollutants. Last week, the Missouri Public Service Commission (PSC) heard testimony on Ameren's Labadie landfill plan. 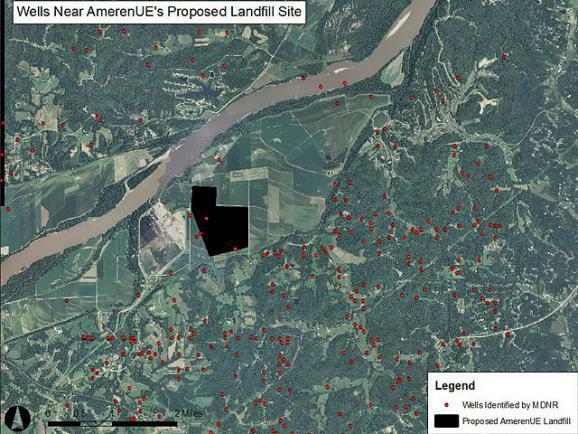 Ameren needs approval from both the MDNR and the PSC to build the landfill. If all goes well, Wood said he hopes construction of the landfill will begin this summer and be completed in 2016. Tuesday's public hearing will run from 7 to 9 p.m. at the Knights of Columbus Hall, 1121 Columbus Lane in Washington, Mo. The MDNR will accept verbal or written comments at the hearing. The public can also send written comments by mail to the Missouri Department of Natural Resources, Solid Waste Management Program, P.O. Box 176, Jefferson City, MO 65102-0176, or by fax to 573-526-3902. The MDNR will be accept comments through May 22 at 5 p.m. Hearings begin in Jefferson City Monday morning on a proposed coal ash landfill in Franklin County. Power company Ameren is seeking the Missouri Public Service Commission’s approval of the new facility to receive waste from its power plant in Labadie. The utility is running out of room in its existing Labadie storage ponds. Ameren Vice President Warren Wood says the new landfill will be extremely safe, replacing slurry ponds with state-of-the-art dry storage. The Sierra Club says Ameren has been routinely violating air quality standards at its St. Louis-area power plants. 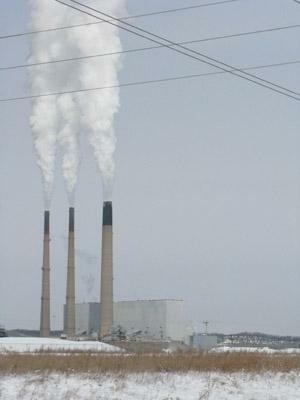 In a Notice of Intent to Sue delivered to Ameren on Wednesday afternoon, the Sierra Club alleges the company's Labadie, Meramec, and Rush Island plants have exceeded air pollution limits almost 10,000 times since 2008. 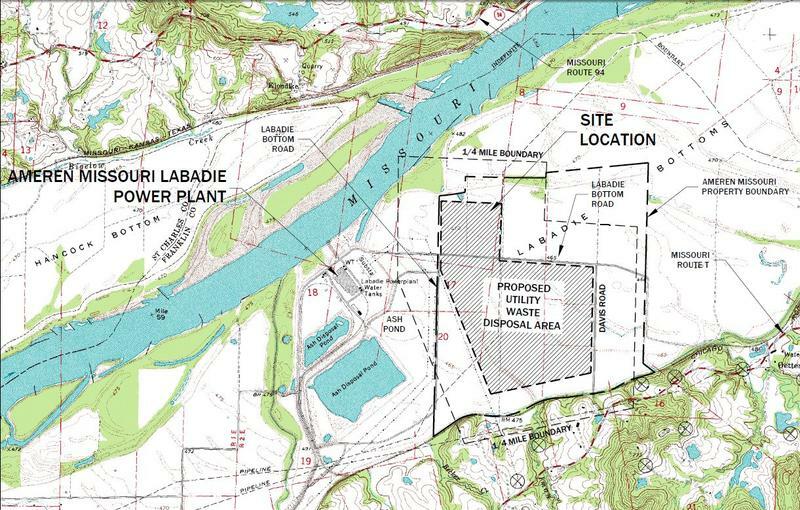 A local environmental group filed an appeal this morning in an ongoing effort to keep Ameren from building a coal ash landfill next to its power plant in Labadie. Last month, a circuit court judge ruled that the Franklin County Commission was in the right when it approved a zoning amendment that would allow construction of the landfill. But a group of 12 Labadie families, led by the grassroots Labadie Environmental Organization, is challenging that decision. Environmental groups are once again urging state officials to require groundwater monitoring at Ameren’s coal-fired power plants in eastern Missouri. The Sierra Club and Labadie Environmental Organization submitted a letter to the Missouri Department of Natural Resources on Thursday asking the state not to allow Ameren to build new coal ash landfills before testing groundwater for contamination.